Tasty and interesting. Goes well with your diet and easy to prepare! Cream: Take 150 grams of almond butter. Mix it with one big lemon's juice, add vanilla aroma, 80 ml coconut oil, 2 tbsp of honey and 2 tbsp of coconut fat. Lastly, take a fistful of strawberry or cherry and blue currant, mash them and add it to the creamy mix. Put the cream to the fridge. Dough: Whip a foam from 5 egg whites with 2 tbsp of birch sugar. When it's done, add the 5 yolks too. While continously stirring, pour 100 grams of almond flour and half teaspoon of baking soda to the mix. Sort the dough to the muffin papers or to the muffin-tin. Make sure you hide a piece of dark chocolate in the middle of each muffins, then put them into the oven for 15 minutes on 170°C. 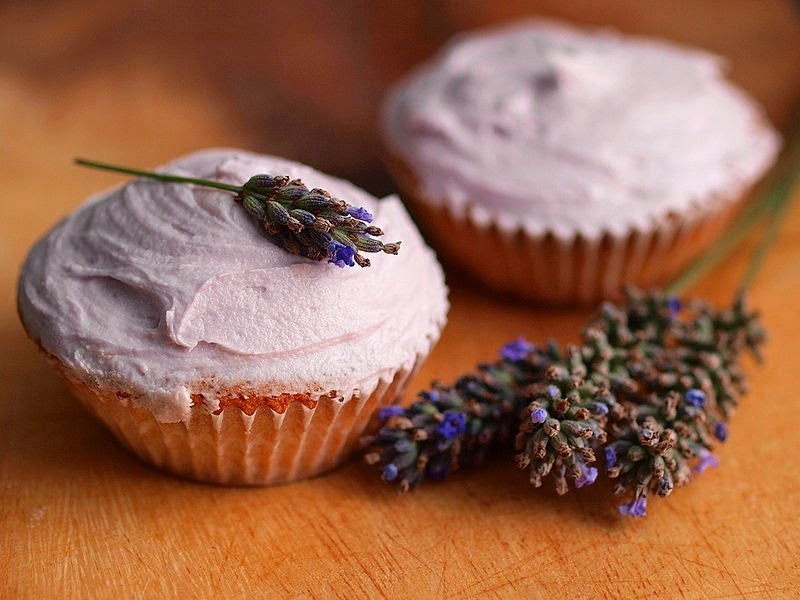 When they're done, and cooled down, decorate them with the purple cream and even use some lavender as a decoration.